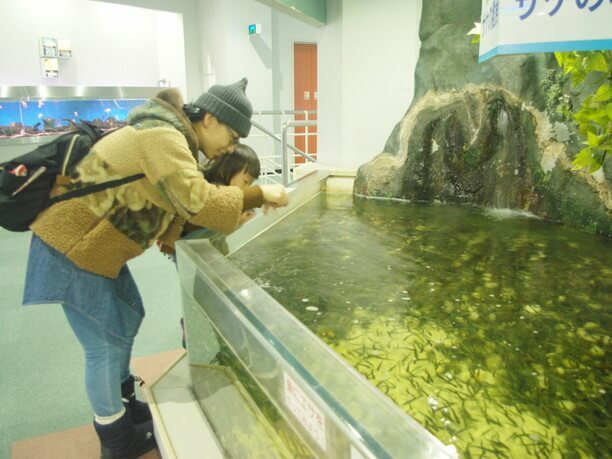 Visit the Sunpiazza Aquarium in Shin Sapporo! 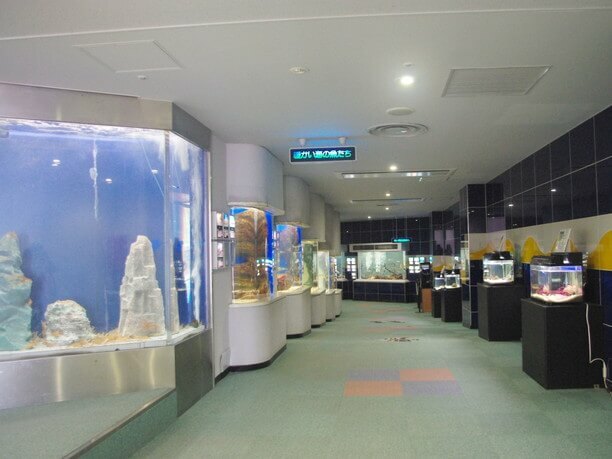 The Sunpiazza Aquarium is about a 3-minute walk from the shin Sapporo station on the JR Chitose Line, and about 5 minutes from the Shin Sapporo Subway Tozai Line. It is very accessible having these two stations available. Since all exhibits are inside, you can watch comfortably 365 days without concern for the weather. 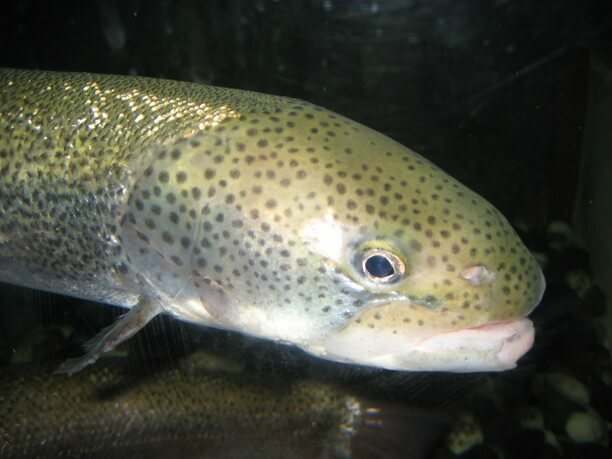 There are About 200 types of breeding animals, mainly fish, and about 10,000 specimens in total. In addition to seawater fish living in coral reefs south of Hokkaido, you can also see crustaceans such as shrimp and crab, rare freshwater fish, popular seals, and penguins. The most important features are the events such as the “Circus show of fish,” “Otter contact time,” “exciting time,” are done every day. 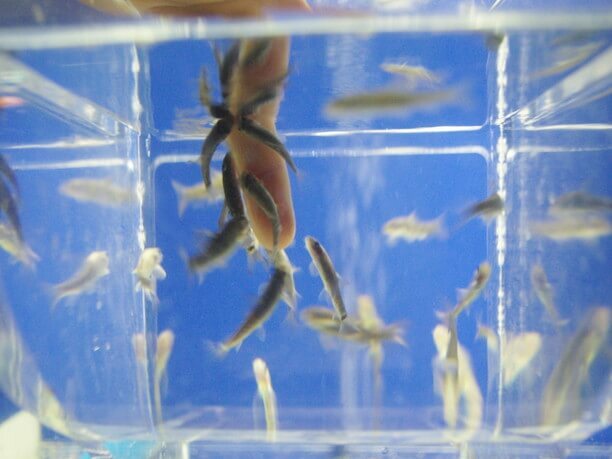 Also popular in the freshwater fish tank are small fish called Gala Luffa, nicknamed “Doctor Fish.” They get their name from the fact that they eat the dead skin off of your hand if you put your hand in the aquarium. Dr. Fish are like an underwater esthetician! 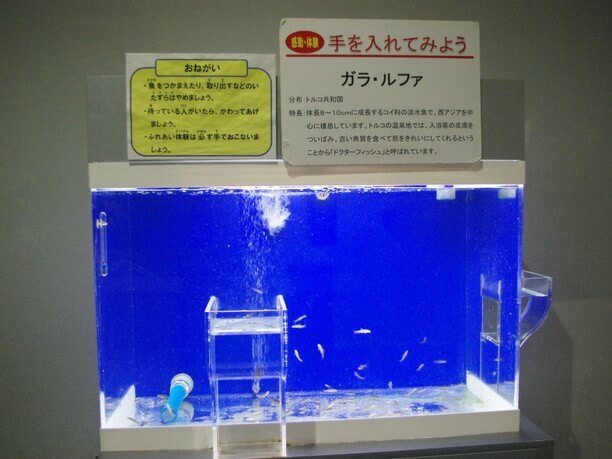 The Gala Luffa tank has a notice that says “Put your hands in,” on top of the aquarium. Gala Luffa, is a freshwater fish with a nickname of “Doctor Fish,” because they remove the old skin from the flesh. Having the underwater esthetic work from the fish is a mysterious feeling. 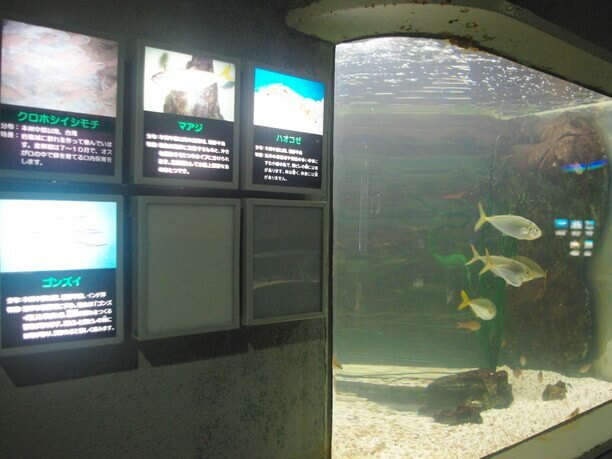 The tank includes Maiji that swim in the same tank as Gonzui and Haokoze. 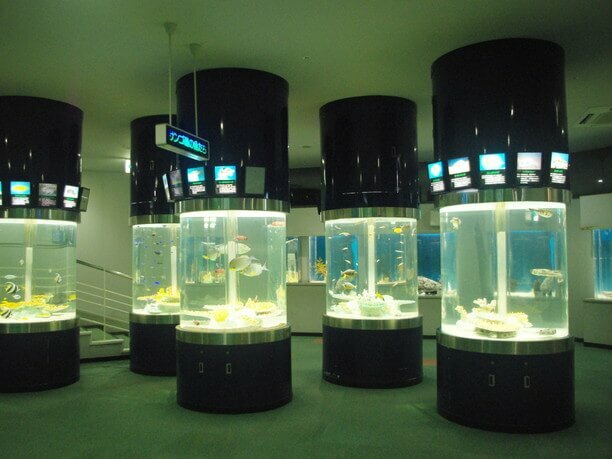 On the second floor there is a collection of rare fish from South America and Africa that you will enjoy seeing swim. There is a migration tank in the center of the floor. 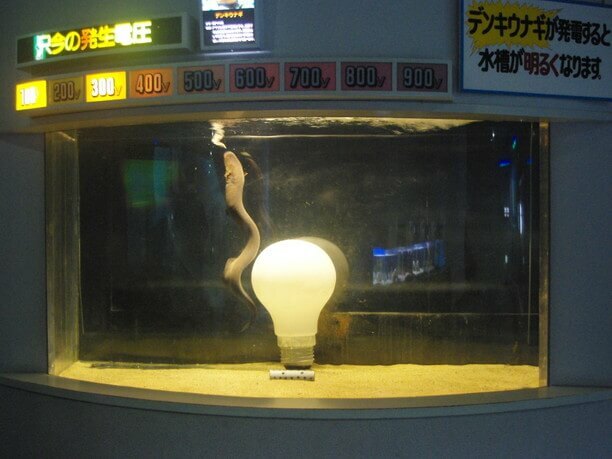 There are various types of fish inside but the one with the most awesome in appearance is the Ei. You can see colorful fish, fish with scary appearances, and even a phantom fish! Many of the fish in the corner “coral reef fish” section are colorful and gorgeous. The elegant and beautiful appearance of their relaxing swimming is like a costume of a female Hanamino kazago singer. Meanwhile, there are also fish that are scary in appearances like the koban shark and Inu sharks, and fish with an abnormal appearance like the neko sharks. On the second floor there is a corner section for “Fish of the River and the Sea.” You can get a bag of food and feed them (1 bag 20 yen, limited to 50 bags per day) at the kiosk. There are also five types of seals found in Hokkaido. If you have good timing you will get to see them being fed. When a keeper with a bucket with their favorite fish appears, their excitement is very cute. In the corner of “rare fish on the second floor,” the “fish circus show” is held 4 times every day. (10:30 in the morning, 12:30 in the afternoon, 2:30 in the afternoon, and 4:30 in the afternoon) The show includes outbursts of power generation from the electric eels and games of golf and the circle with the Ishida. There is a Kotsume Kawauso that you can also touch. It puts its forelimb into the pipe inserted in the display case of the glass, so you can touch it. The Kotsume Kawauso has a habit of putting forelimbs in rock holes and searching for food, so this mechanism takes advantage of its habits. By the way, be sure to disinfect your hands after touching it. Also, if you touch the forelimbs, you will want to shake hands, but be careful not to hold on too tight and make it feels like it is being grabbed. 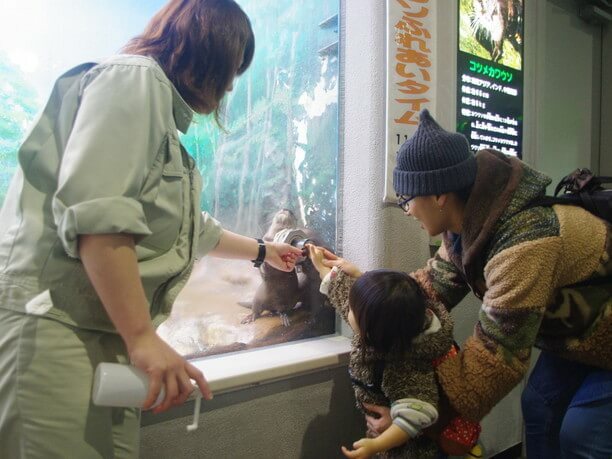 The cute otter is very popular in person and even as a souvenir in the one of the kiosks! 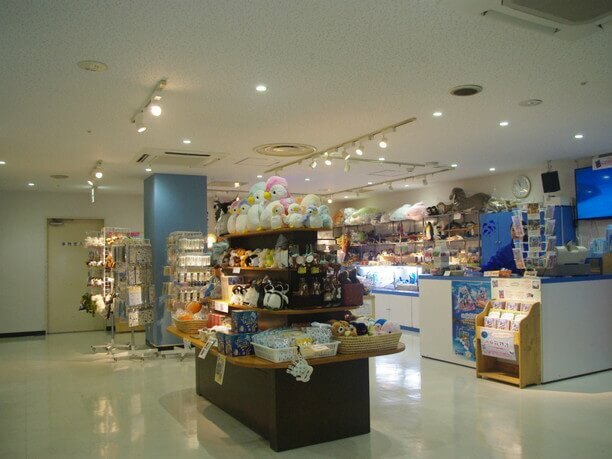 On the second floor of the aquarium there is a “marine shop” where you can buy various goods such as cute plush toys, accessories, and miscellaneous goods with the motifs of the aquarium. 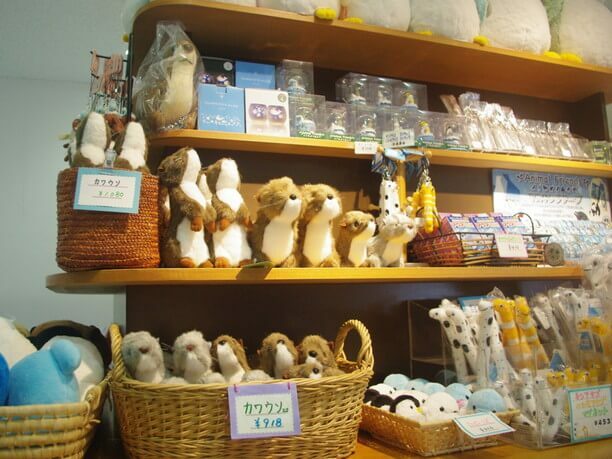 Among them, the one that is the most popular seems to be a stuffed otter doll. You can not take home the real otter who you touched on the forelimbs at “Otter contact time”, but if it is ok to take home the stuffed doll! 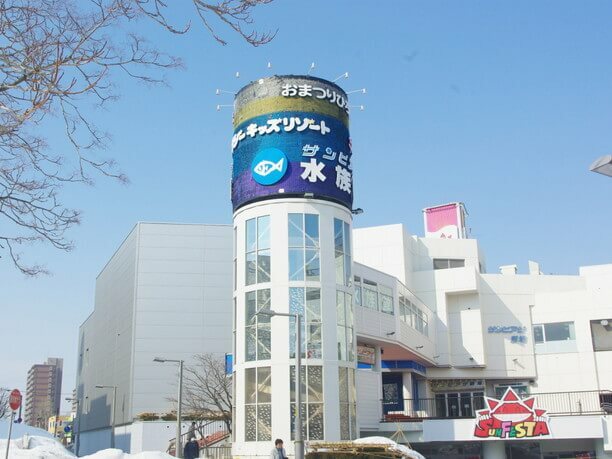 It is about 3 minutes on foot from Shin Sapporo station located between New Chitose Airport and Sapporo by JR Chitose Line and 5 minutes on foot from Exit 3 of Shin Sapporo Subway Tozai Line. Accessible from 2 stations, with a large shopping center is on the same premises, so it is convenient. 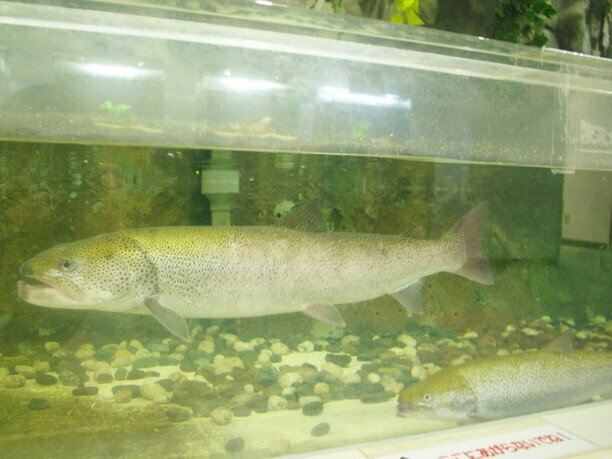 Every day, events such as "Circus show of fish", "Otter contact time", "Wakuwaku time" are carried out. 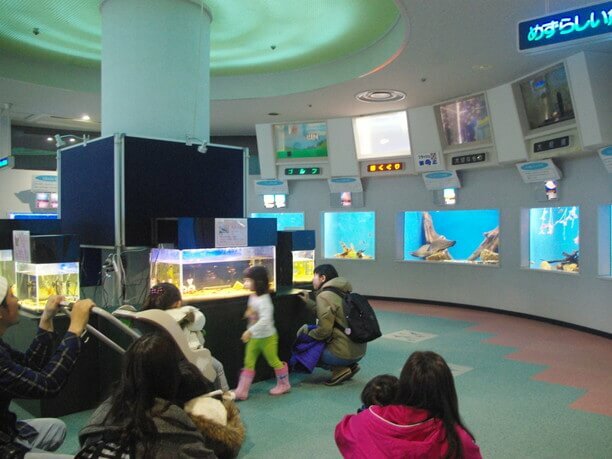 On Saturdays, Sundays, and public holidays, you can experience "behind the aquarium" (elementary school student and above · once a day at 1:30 pm for up to 10 people) where the back side of the aquarium can be seen. 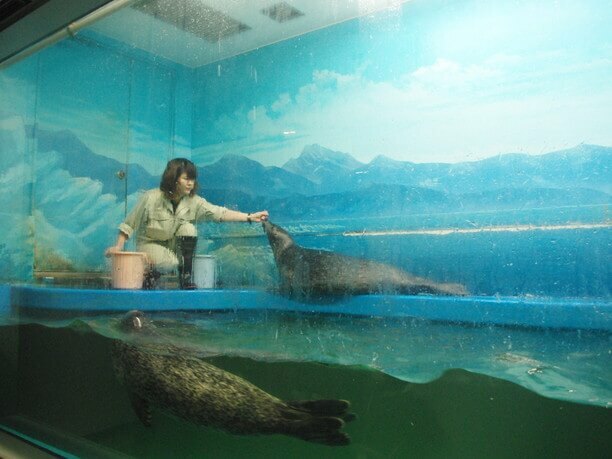 On Sundays and public holidays, there is also the "marine girl feeding show" also in the large migration tank! "Beautiful" "cute" and "healing " describes the Aquarium. 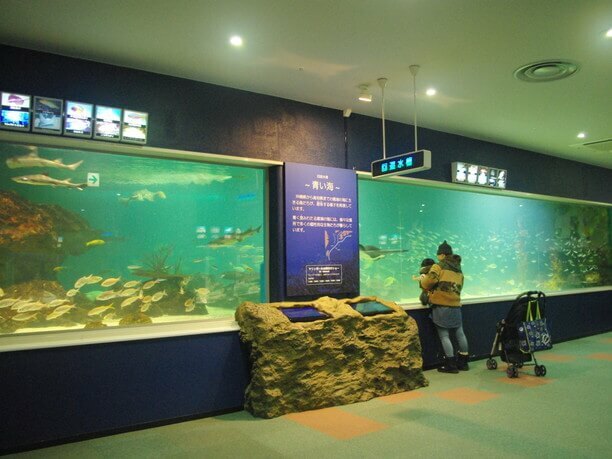 It is a space that can enhance your interest in water and living creatures while having fun. There are many events on Sundays and public holidays, so you can spend a lot of time then.